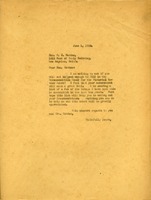 Martha Berry writes to Mr. William McAdoo thanking him for the $1,000 gift - the interest of which Berry uses to provide a prize for a yearly extemporaneous debate competition. She hopes that McAdoo will come to Berry at some point to listen to the boys and girls compete. McAdoo is a former Secretary of the Treasury. 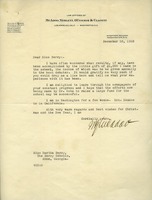 Martha Berry writes to William McAdoo asking him to recommend Berry for the Pictorial Review Award. 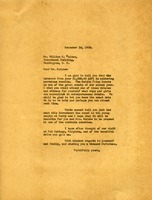 William McAdoo is a former Secretary of the Treasury.